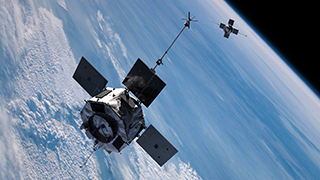 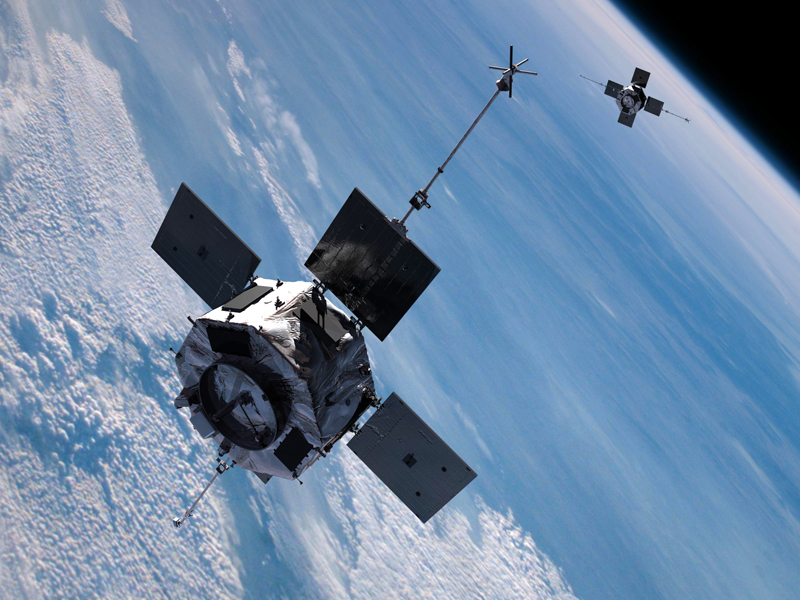 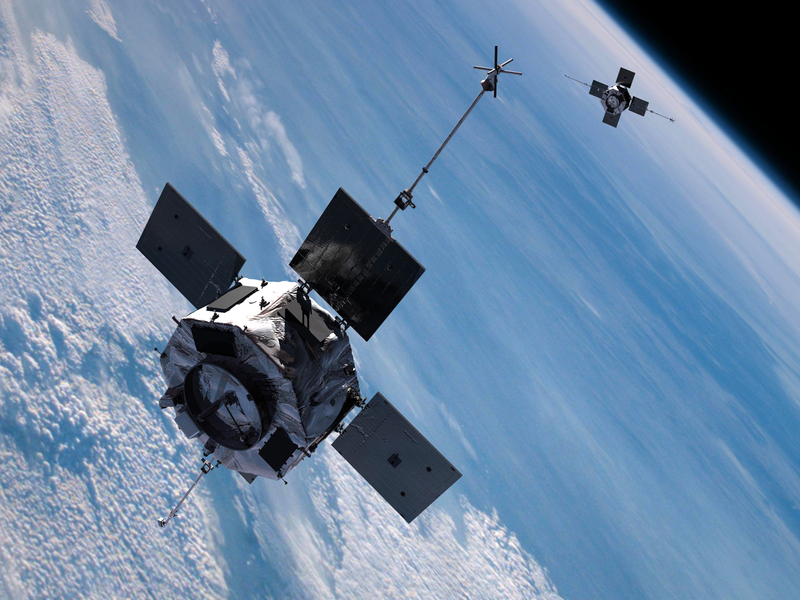 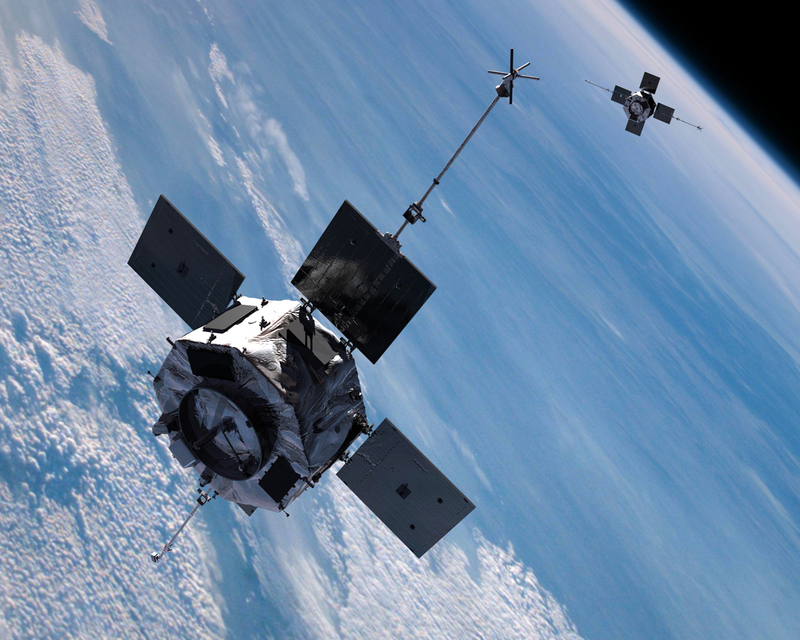 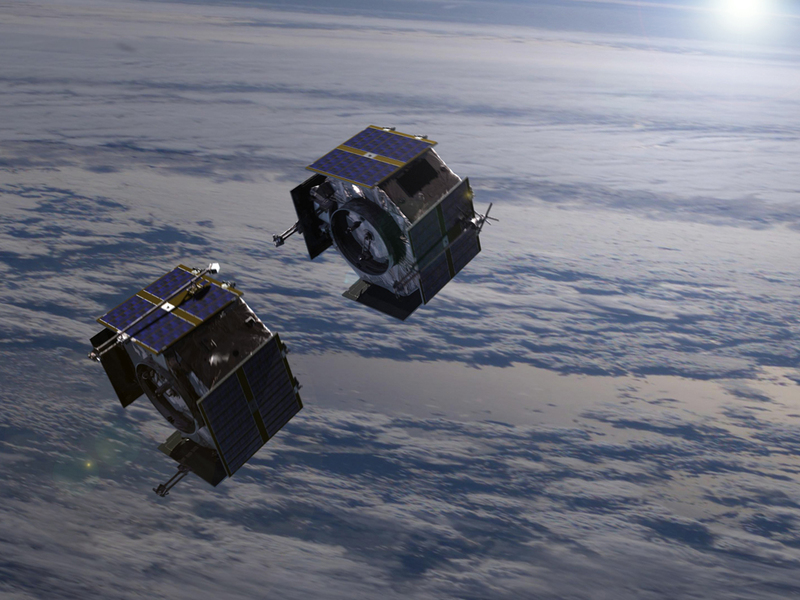 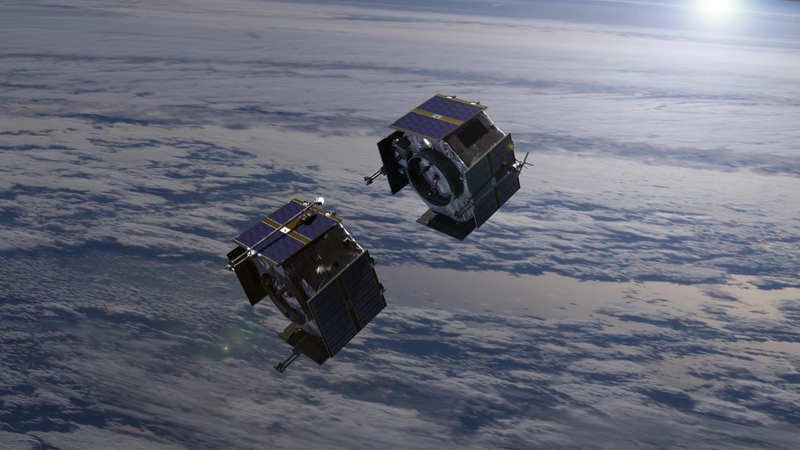 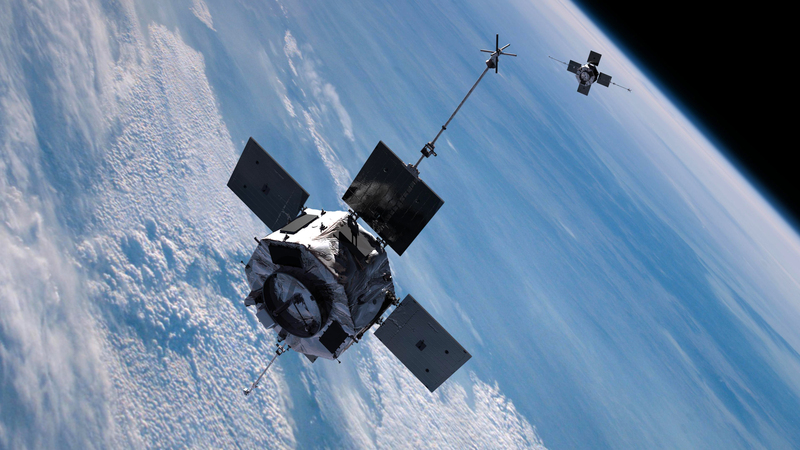 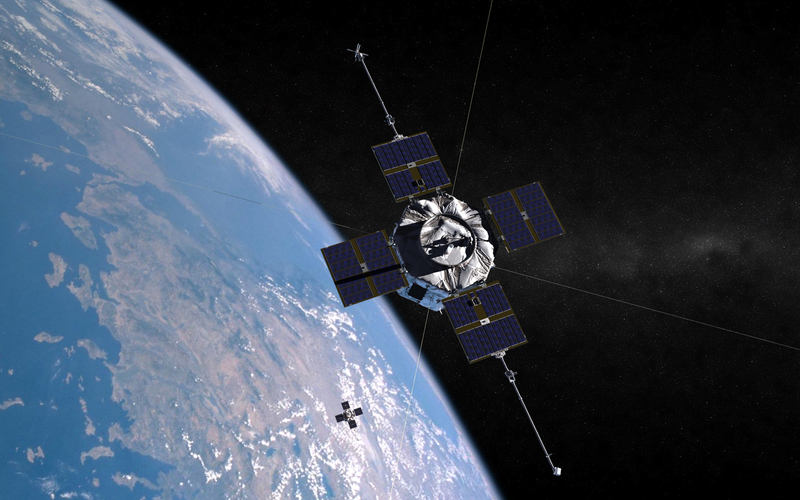 This artist rendering shows the twin Van Allen Probes as they appeared shortly after they separated from their launch vehicle, before they have moved apart from each other and deployed their solar panels and booms. 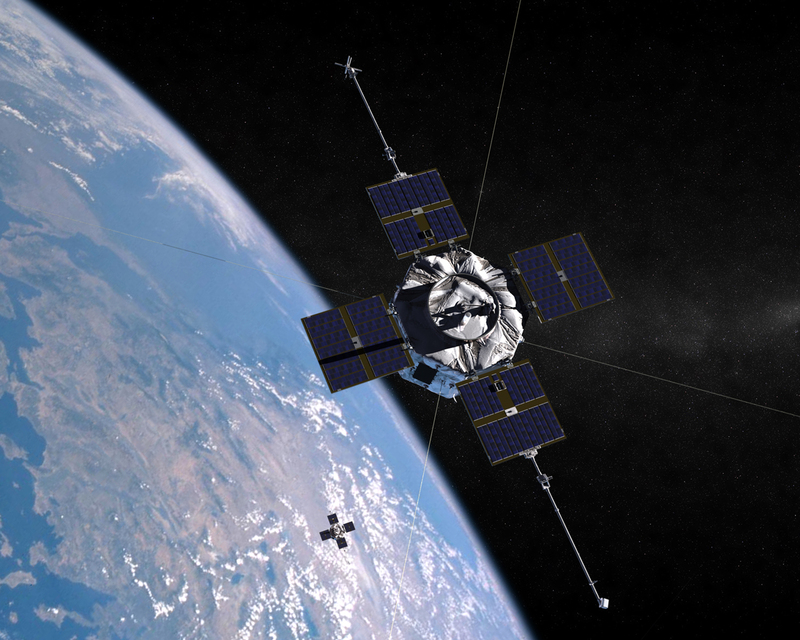 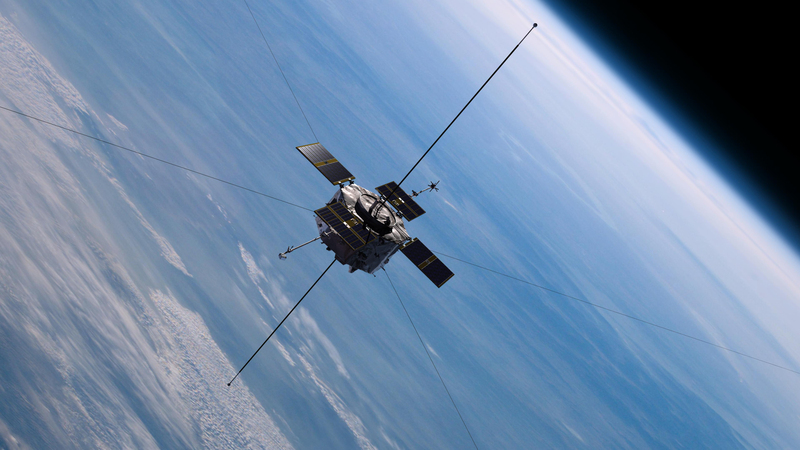 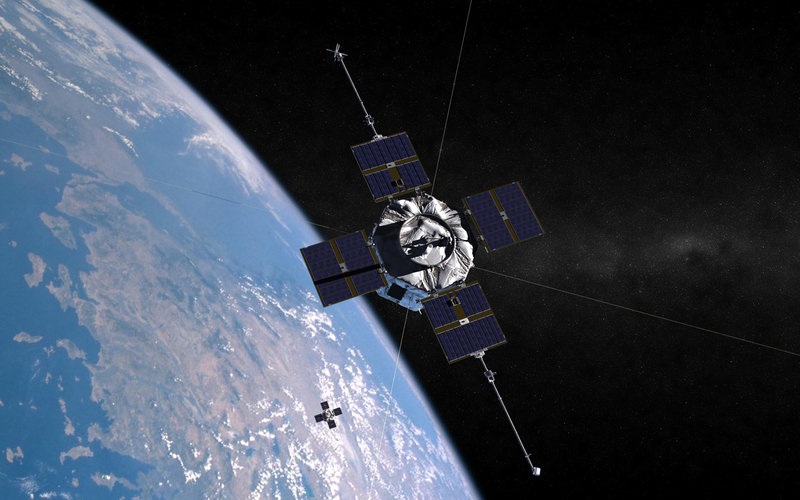 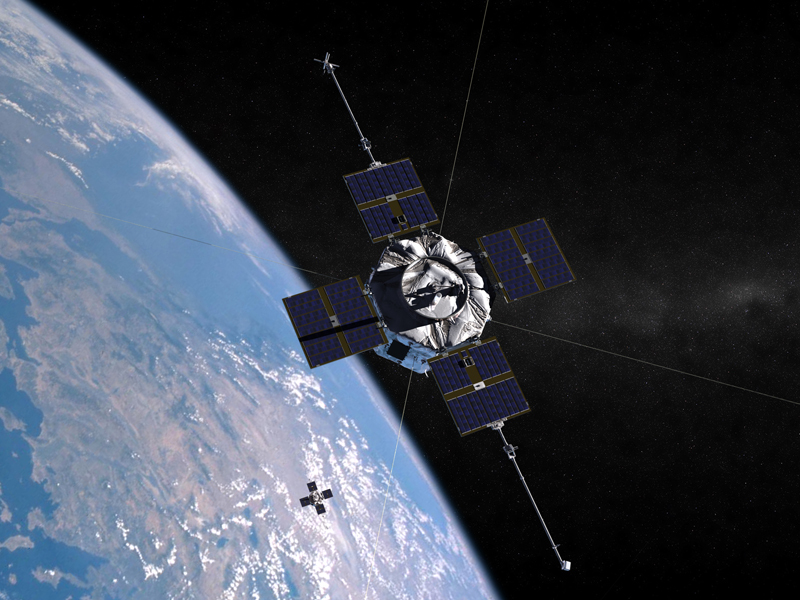 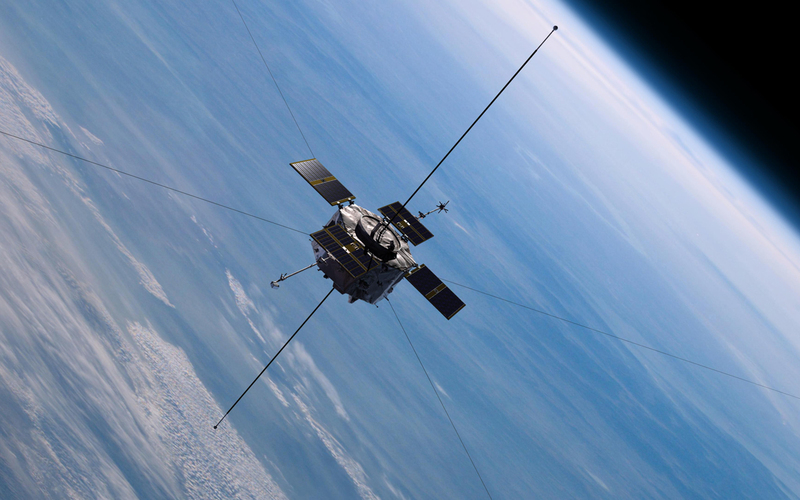 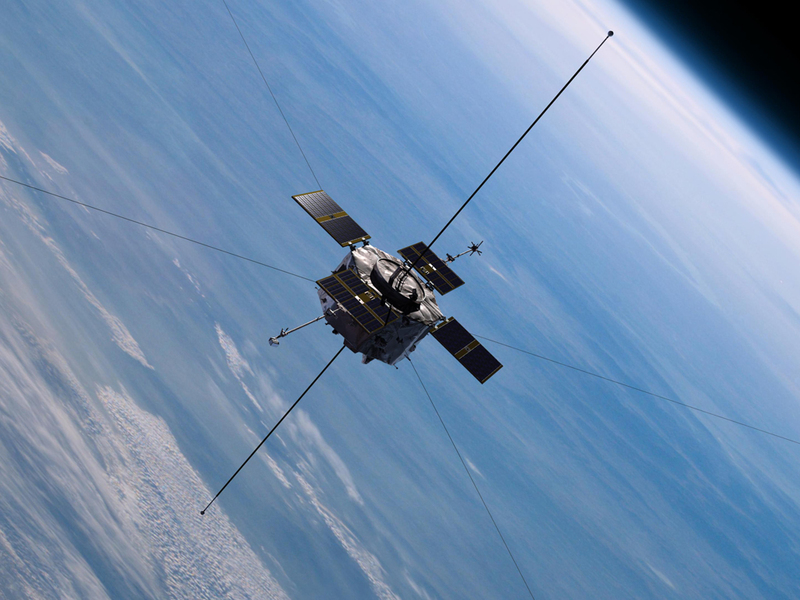 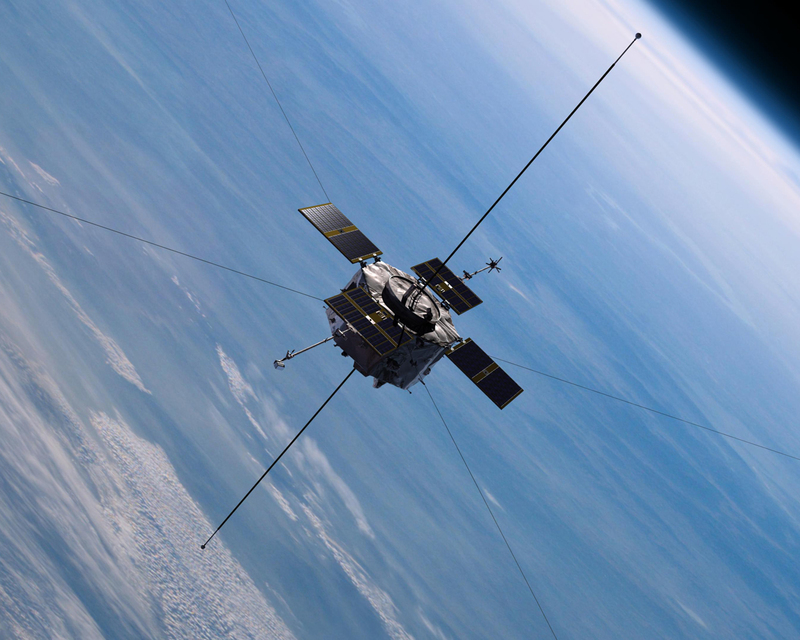 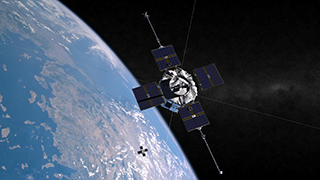 Artist rendering of one of the Van Allen Probes with its solar panels and booms deployed. 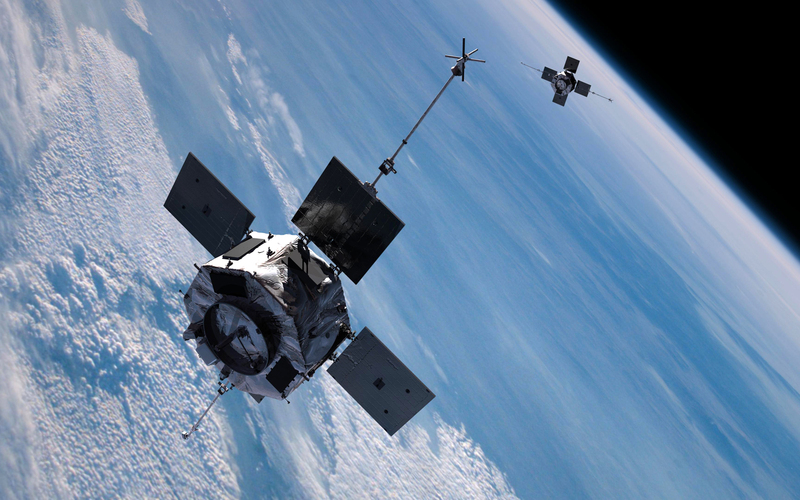 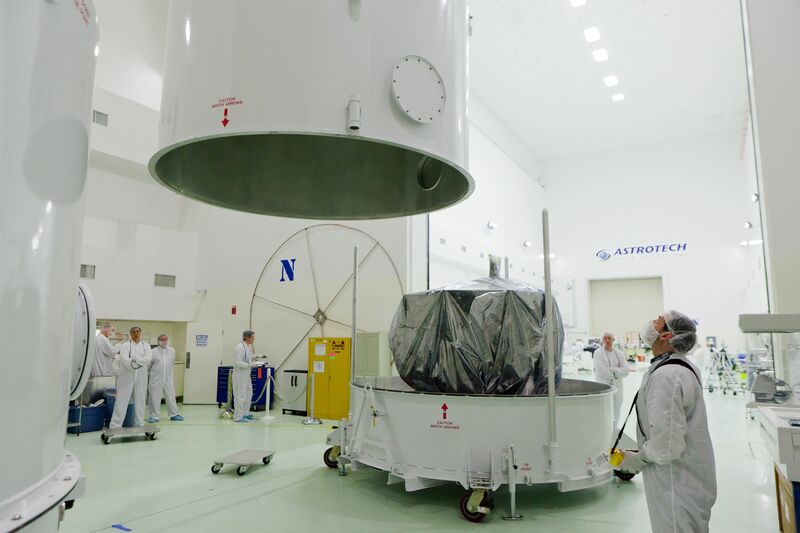 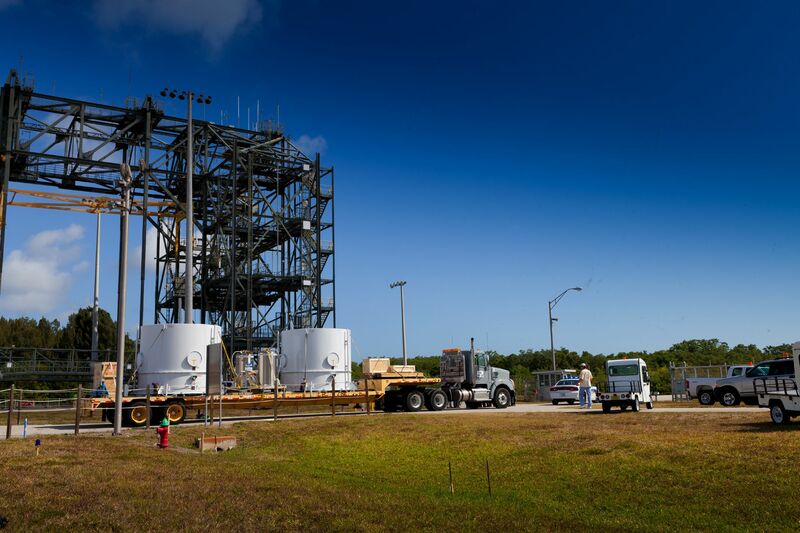 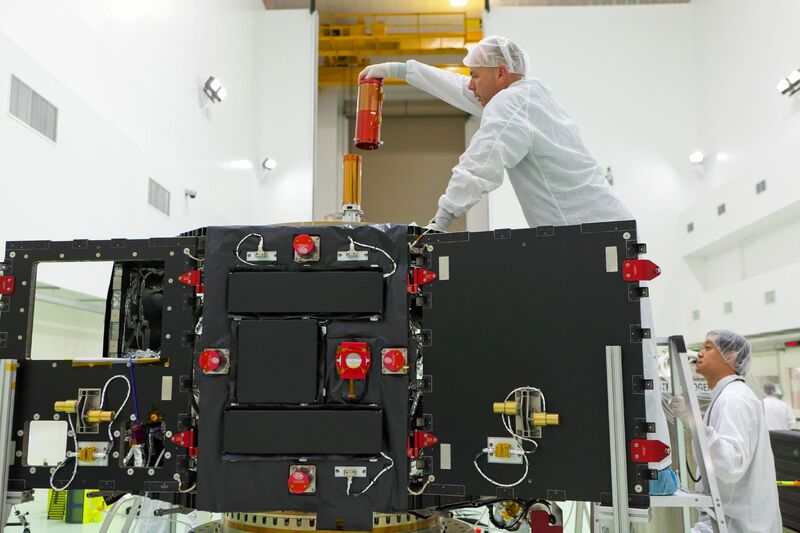 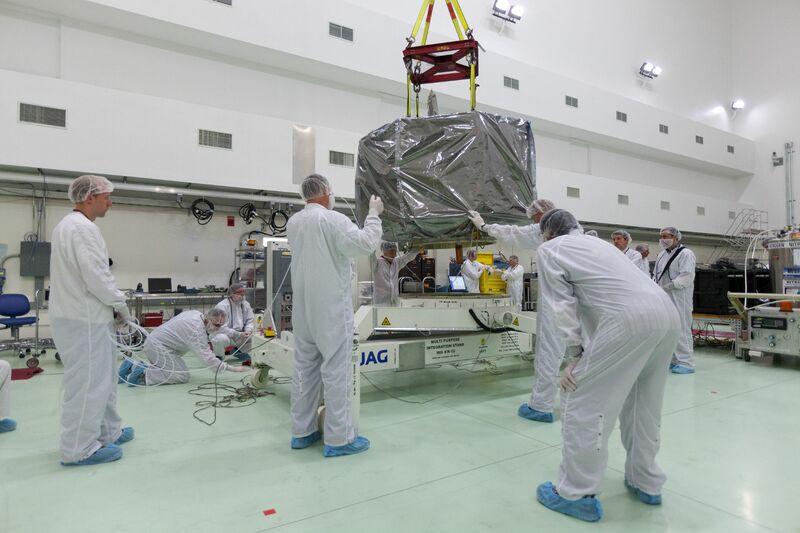 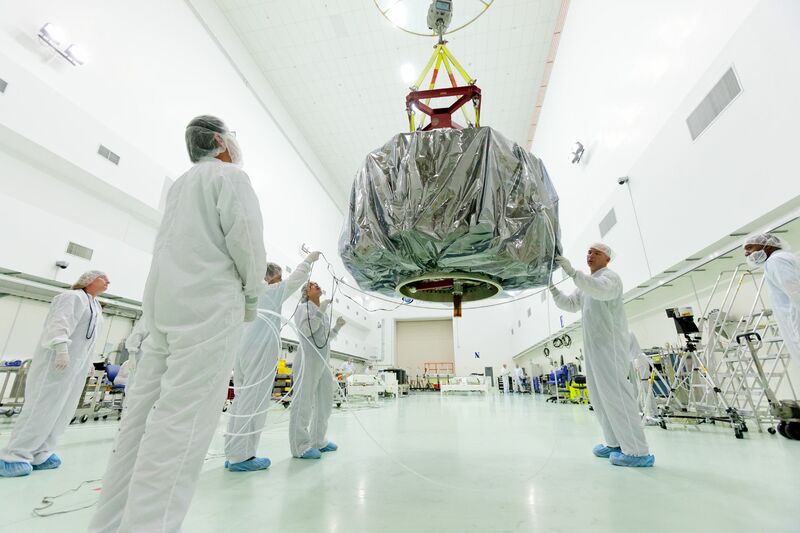 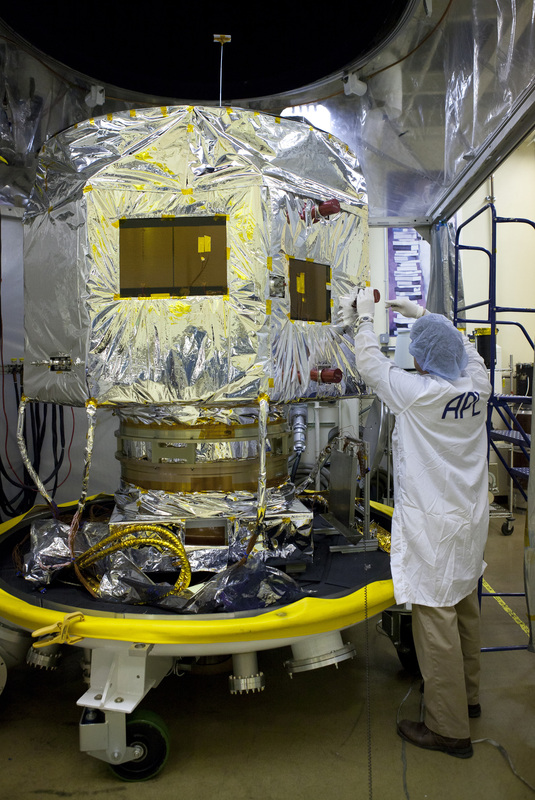 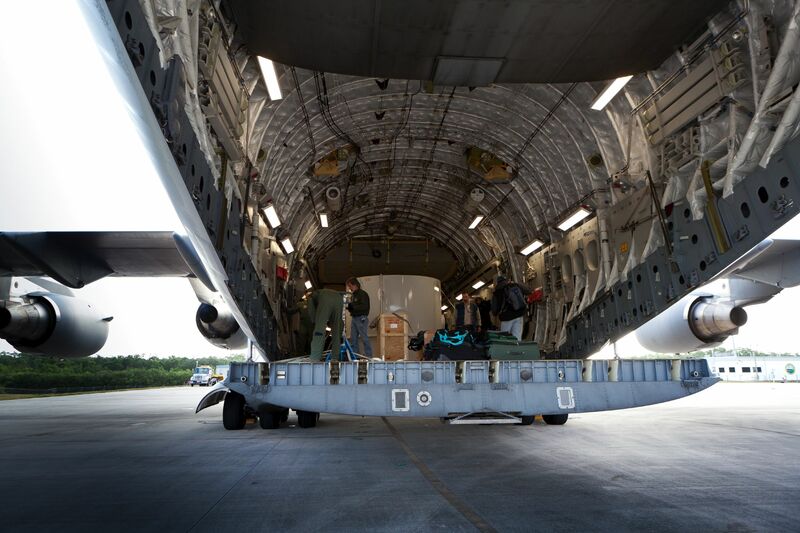 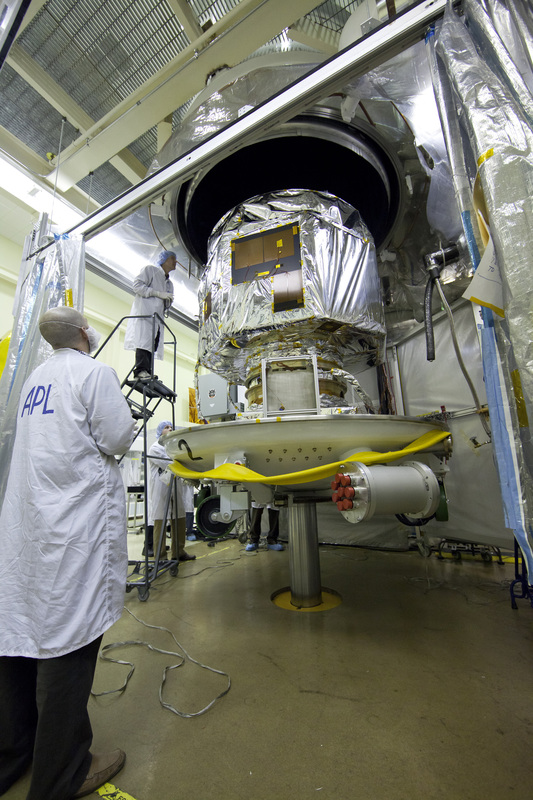 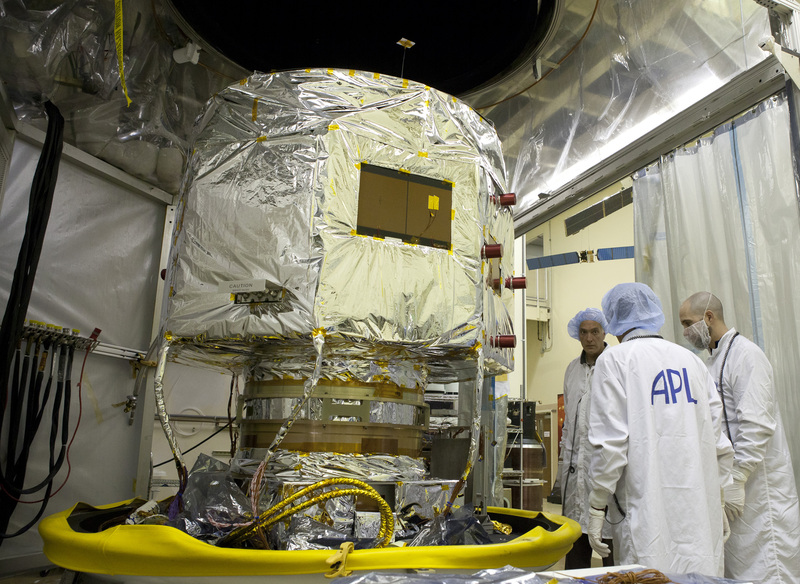 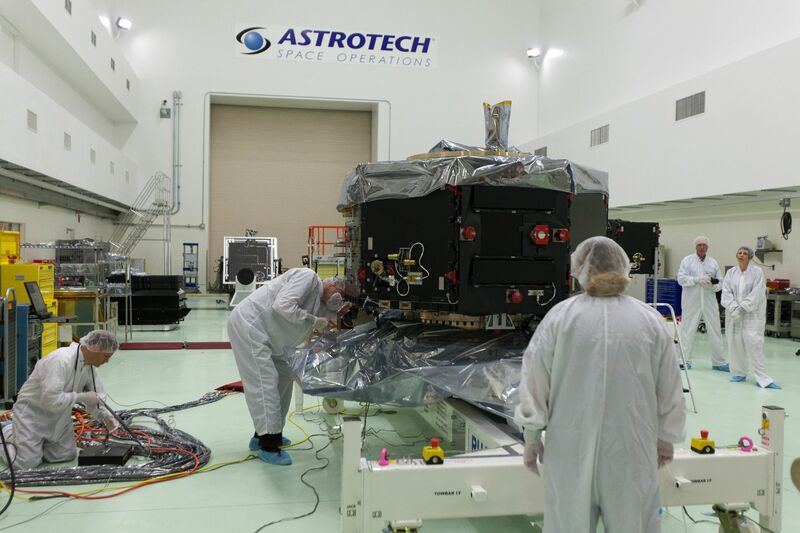 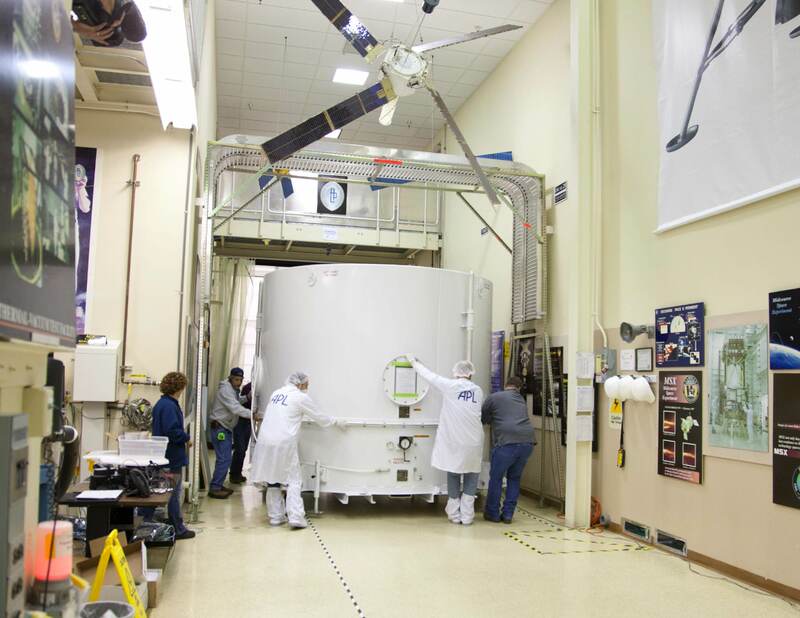 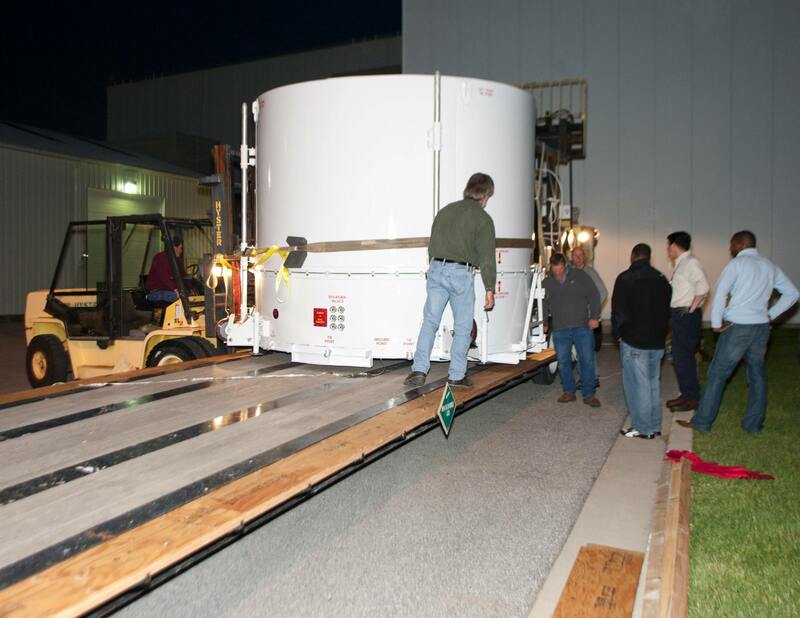 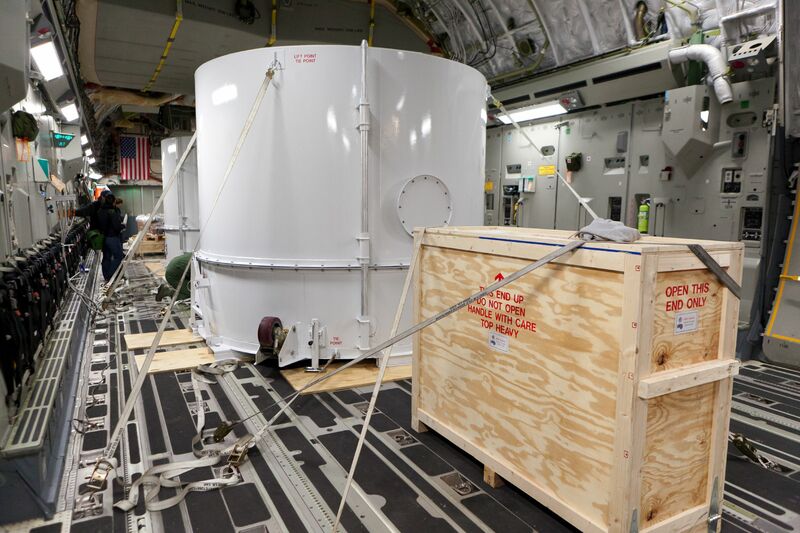 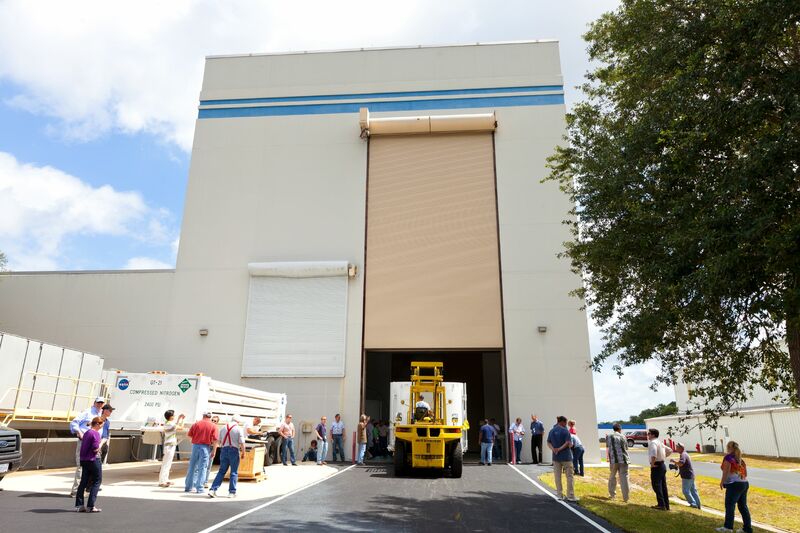 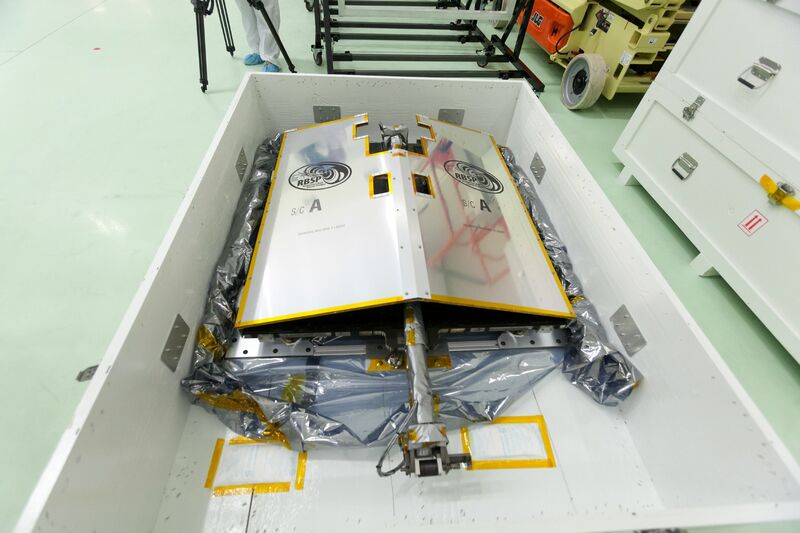 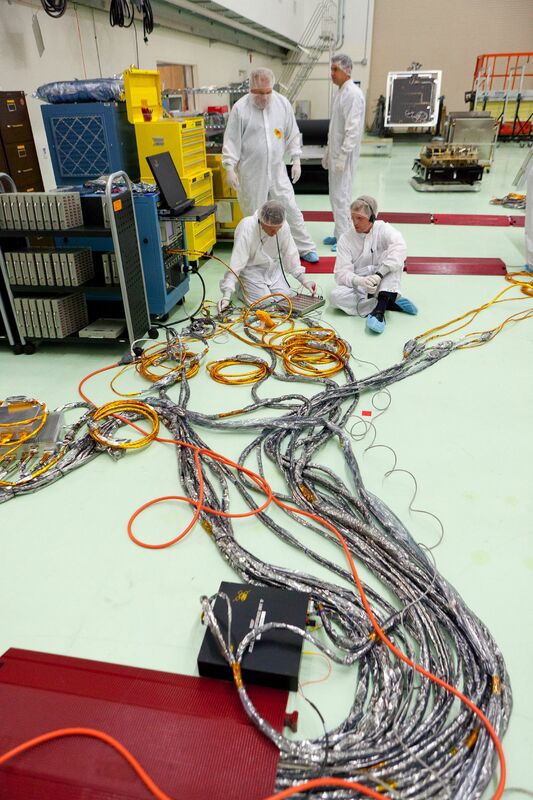 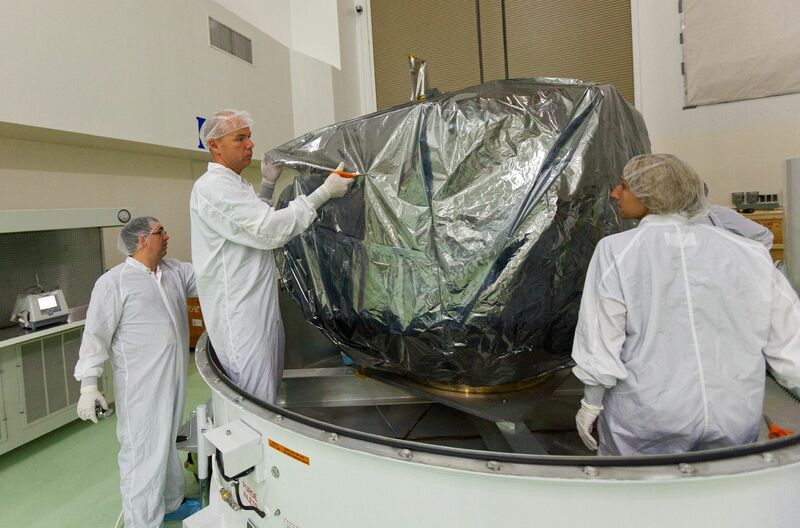 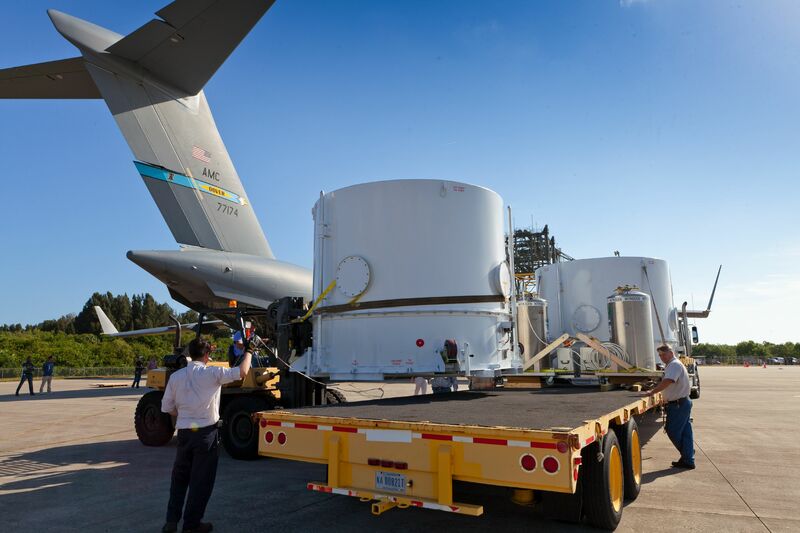 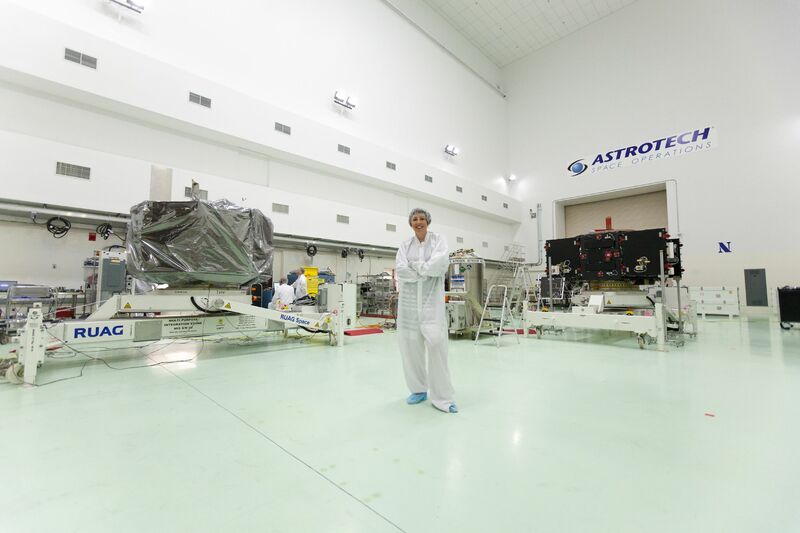 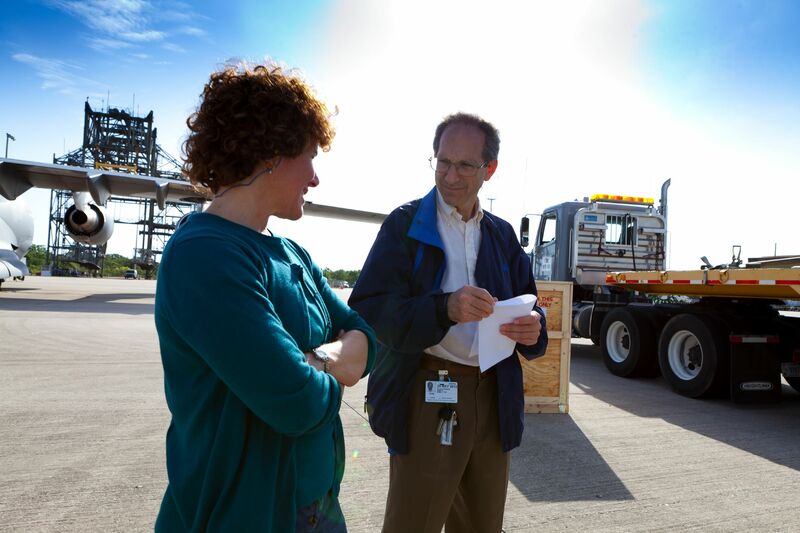 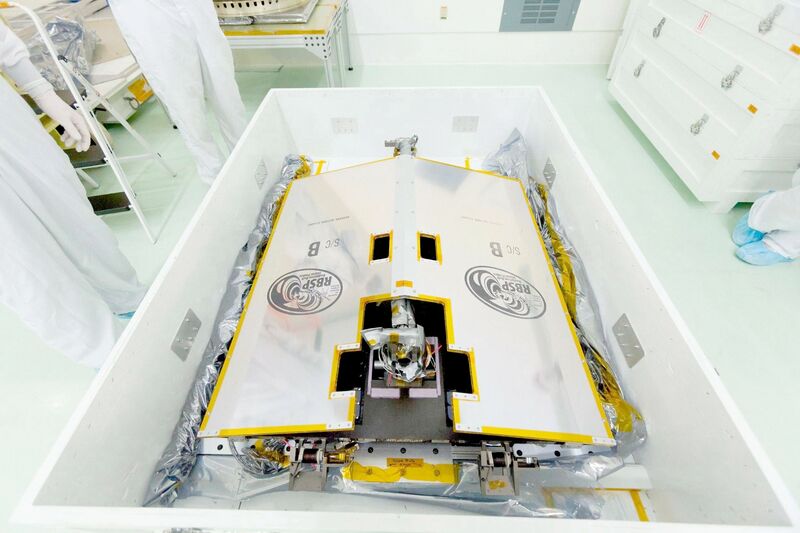 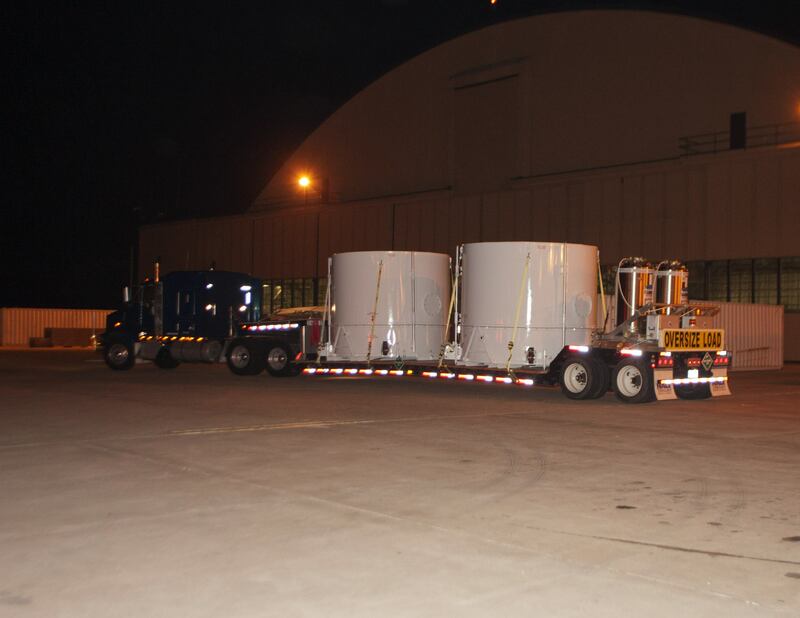 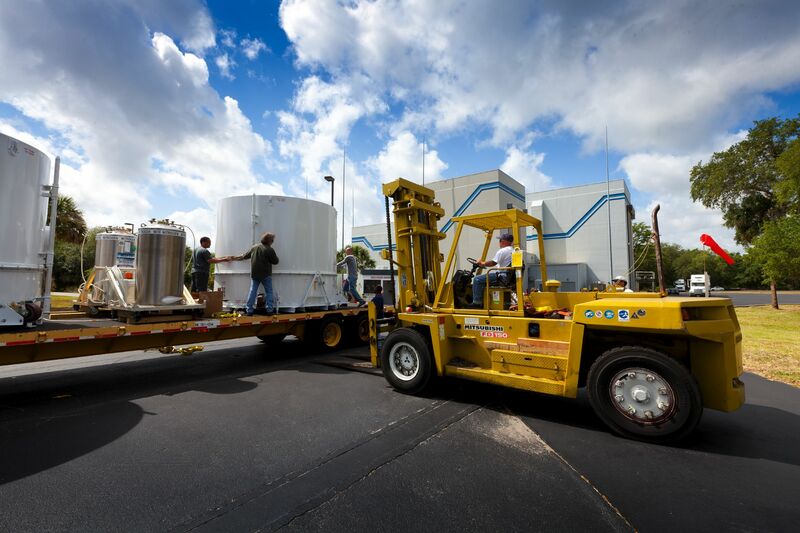 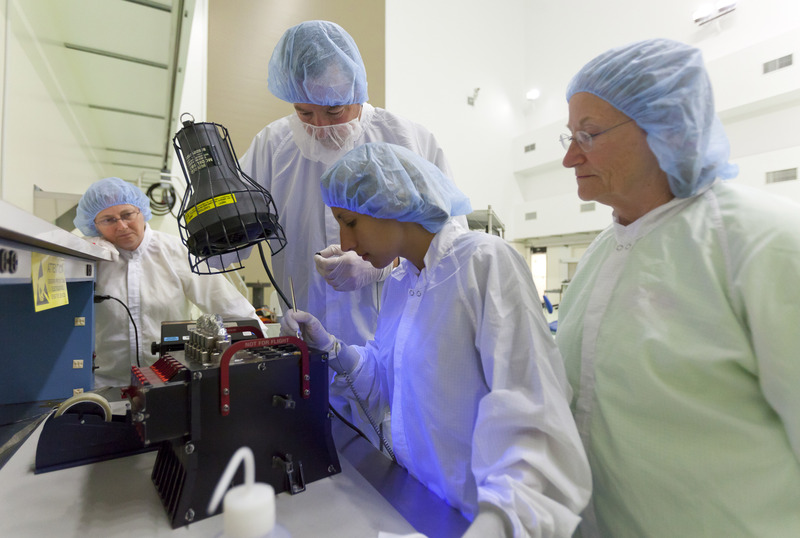 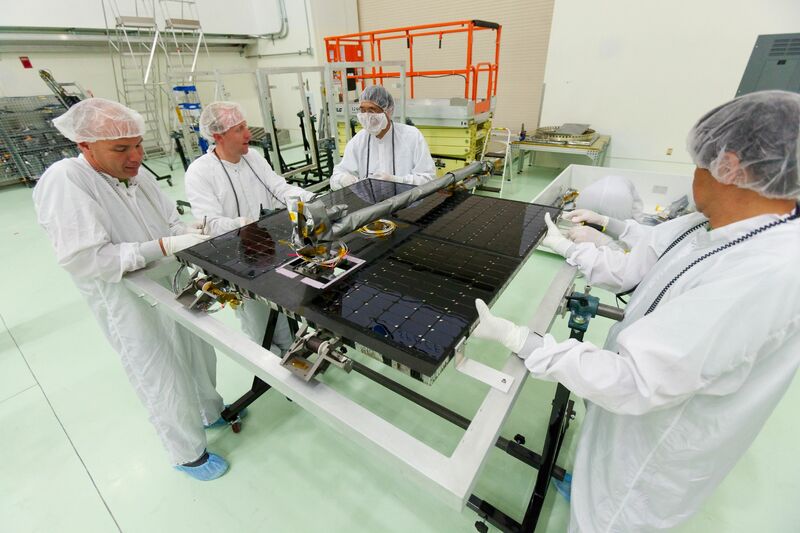 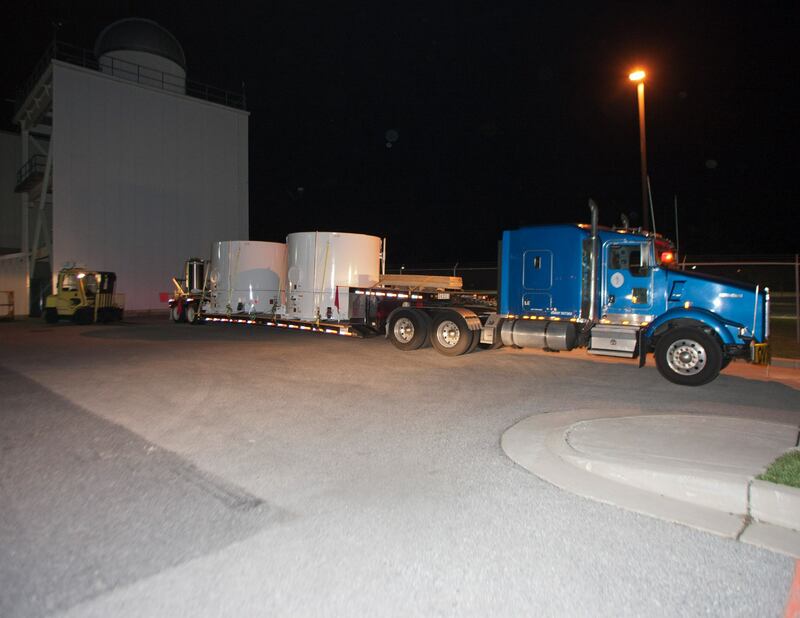 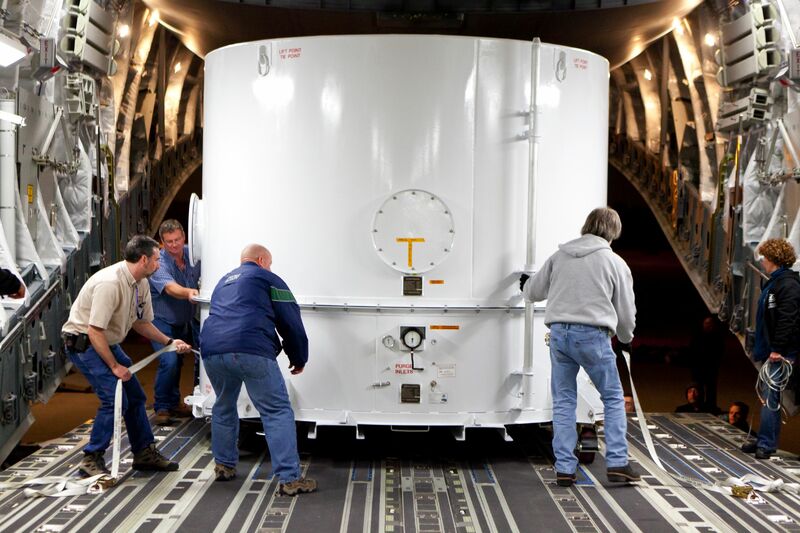 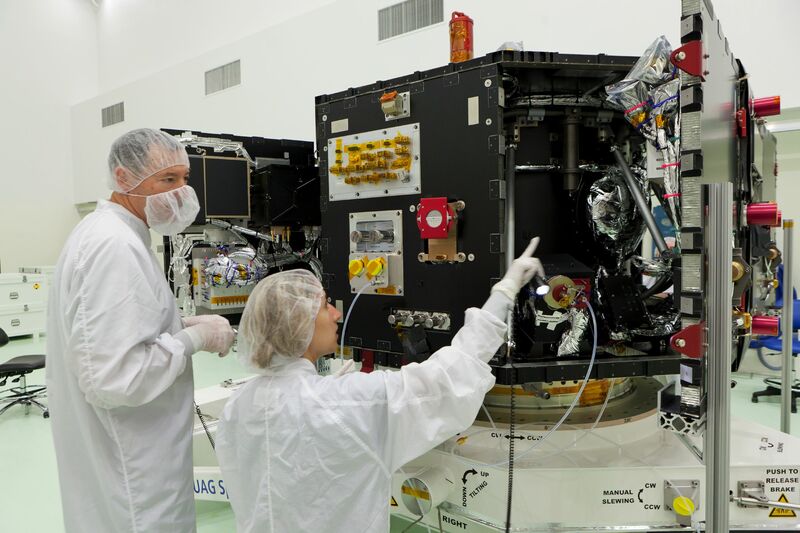 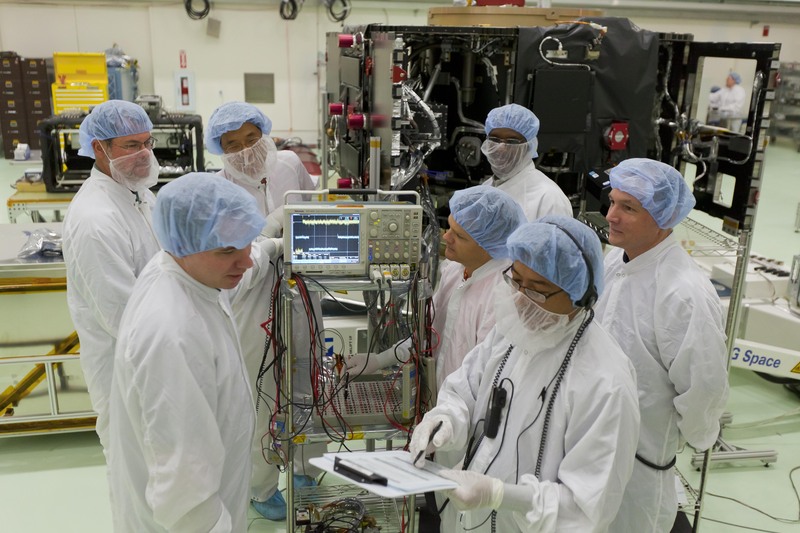 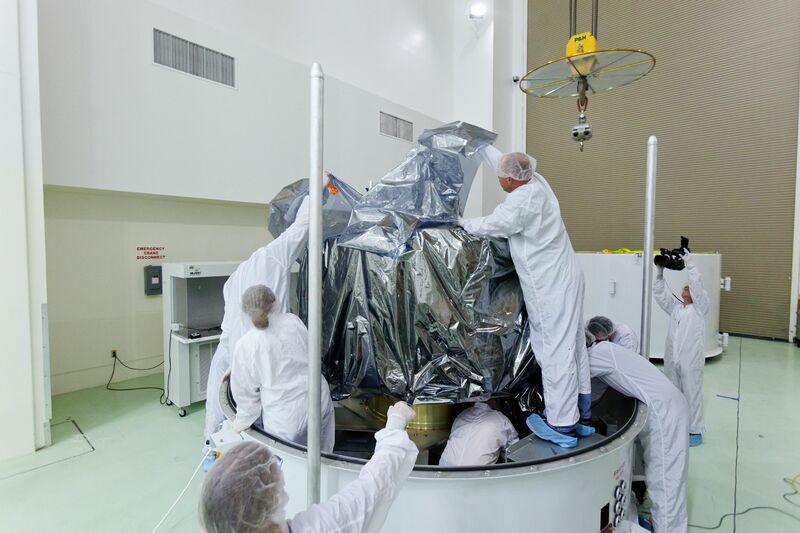 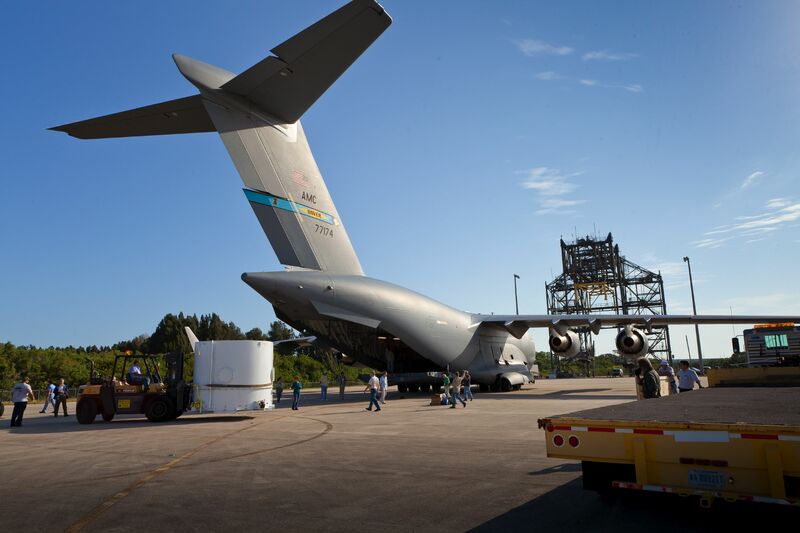 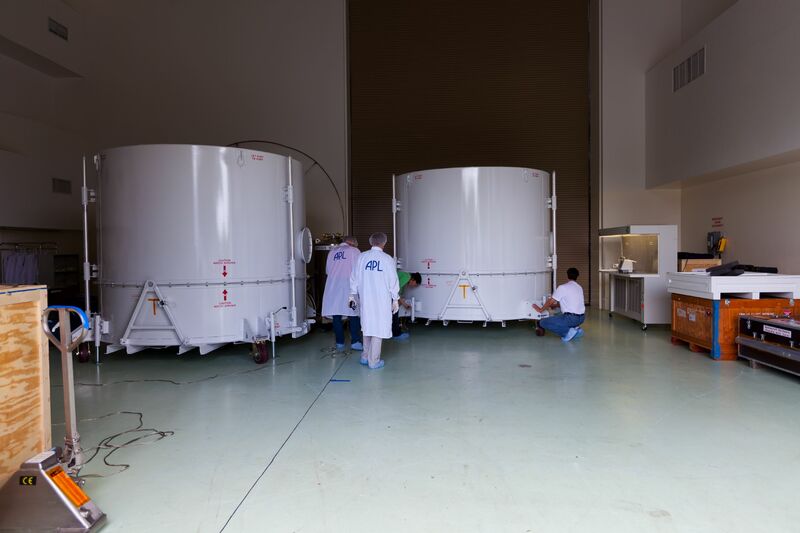 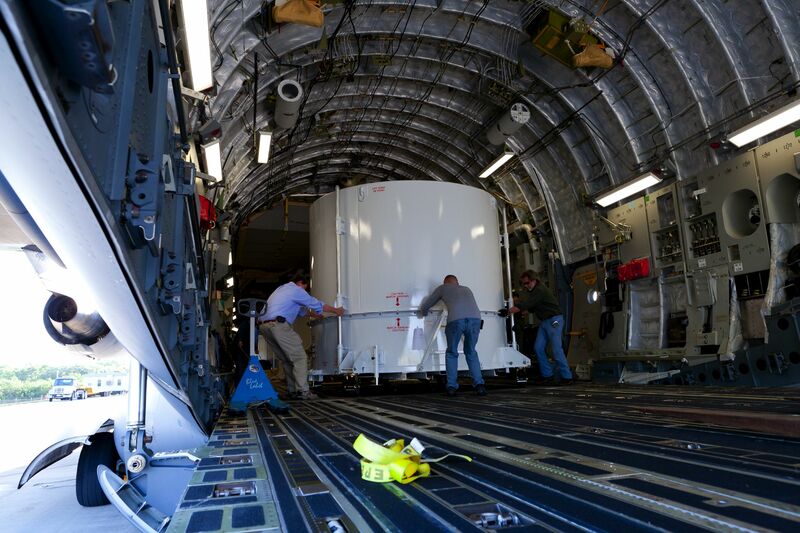 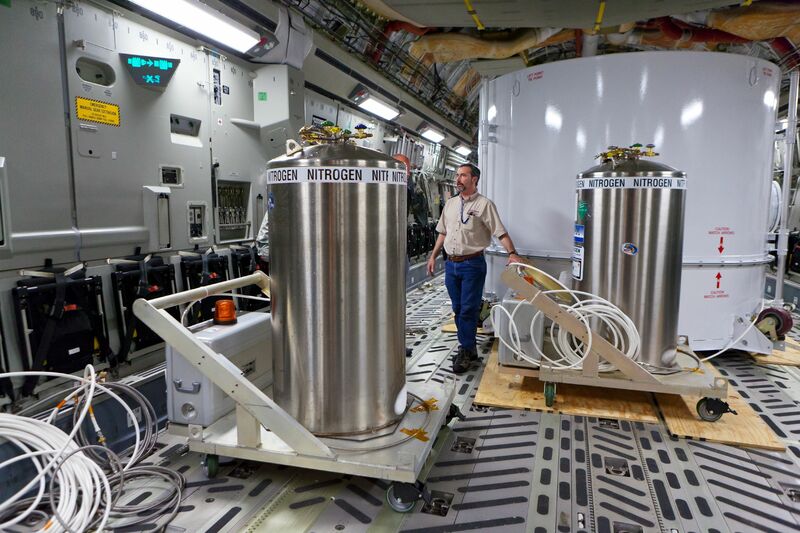 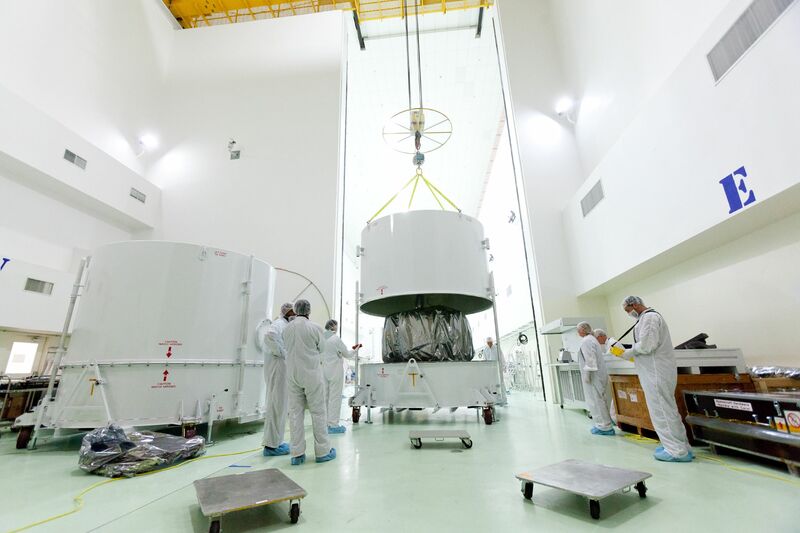 The probes carry identical sets of five instrument suites to support experiments that will address the mission's science objectives. 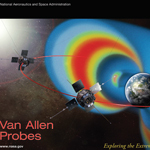 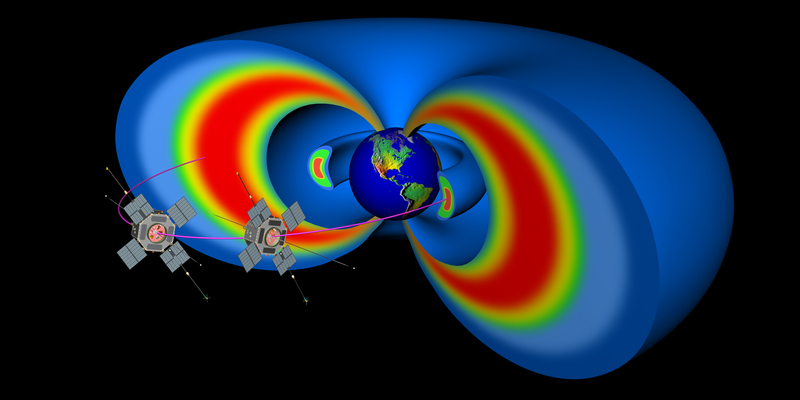 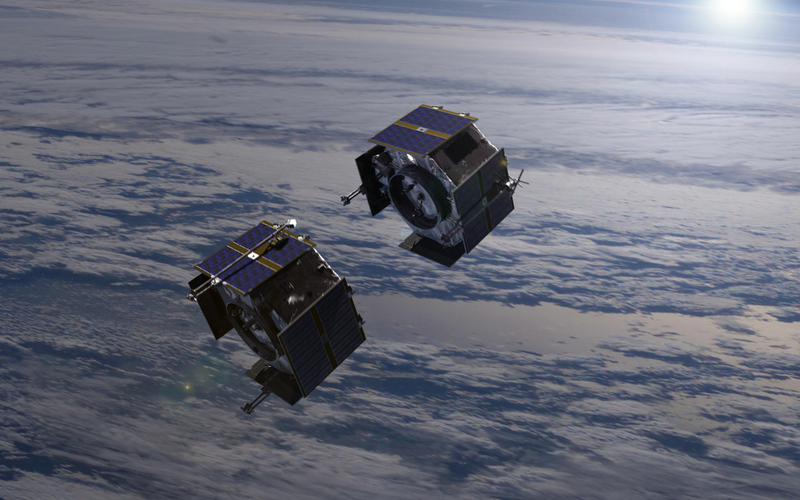 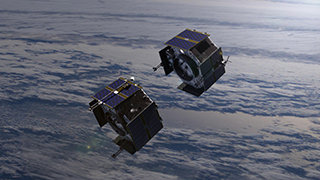 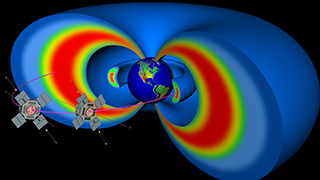 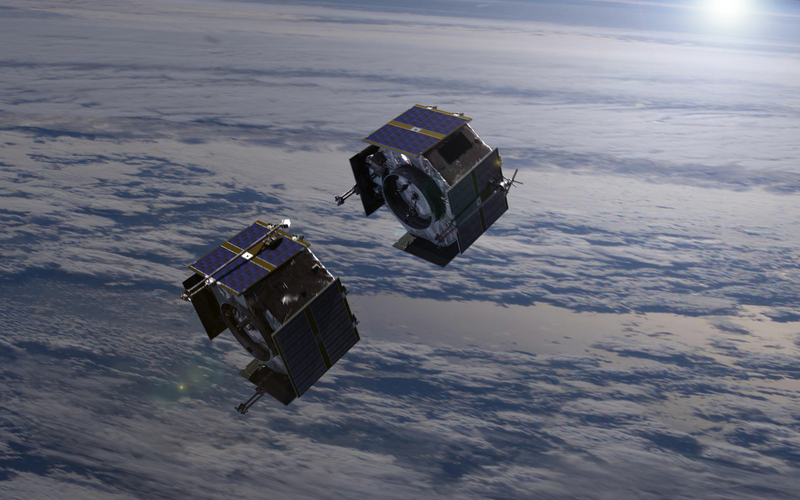 Artist rendering showing two spacecraft representing early designs of the Van Allen Probes that are studying the sun and its effects on Earth. 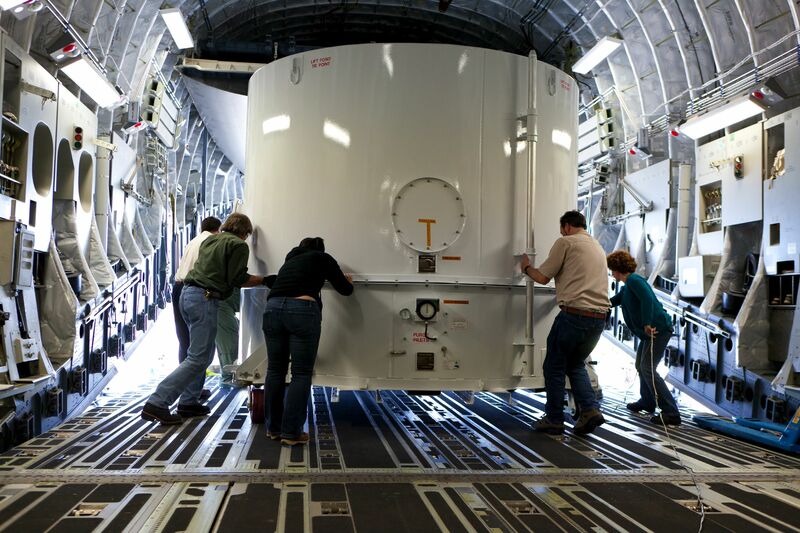 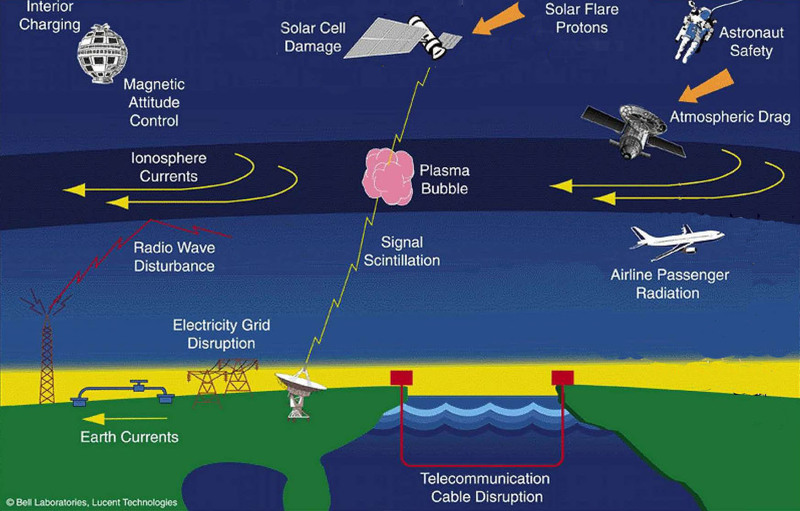 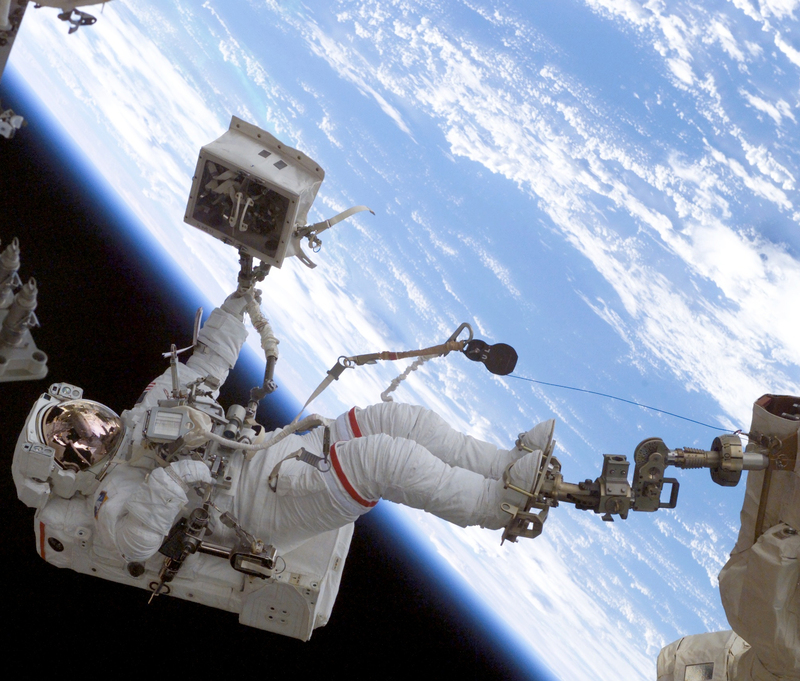 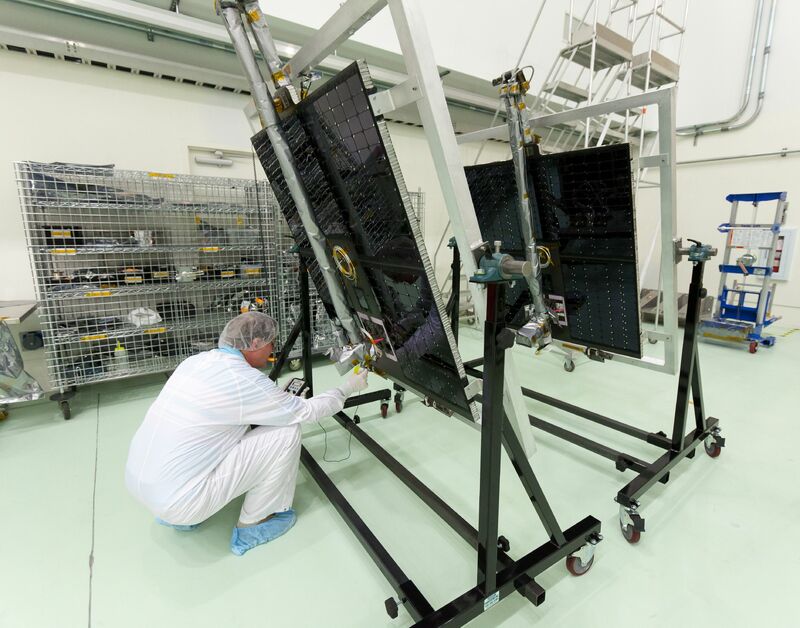 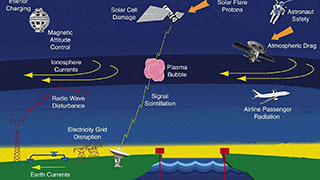 Space weather affects technological systems in space and on the Earth's surface. 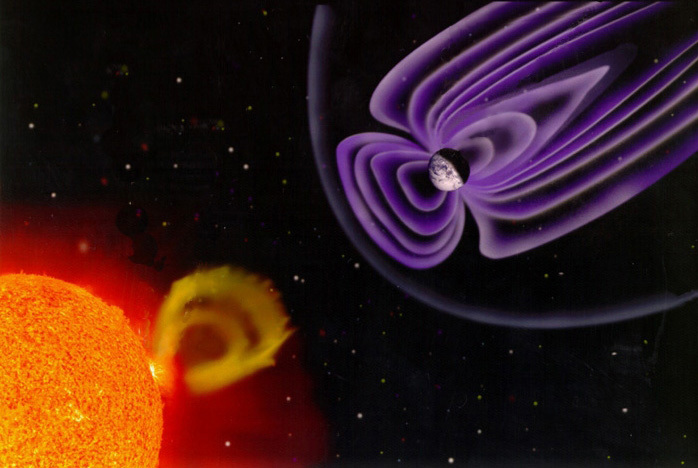 The source of space weather, our dynamic sun, shown with a coronal mass ejection that will interact with the terrestrial magnetosphere producing geospace storms. 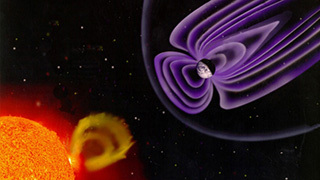 In Earth orbit and in interplanetary space, humans are directly exposed to space weather and its potentially dangerous impact. 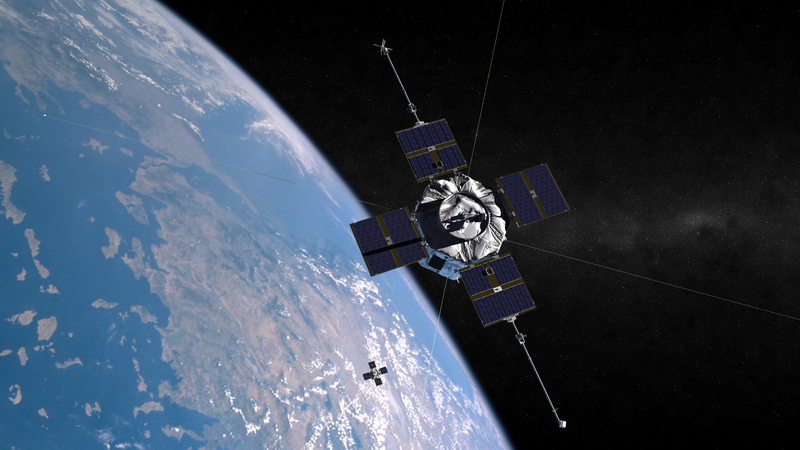 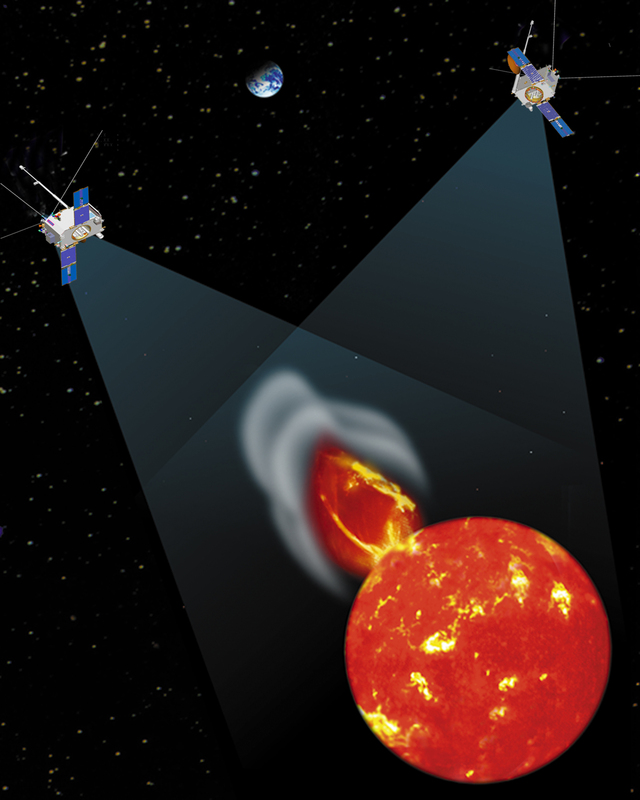 Artist's concept of the twin STEREO spacecraft studying the sun. 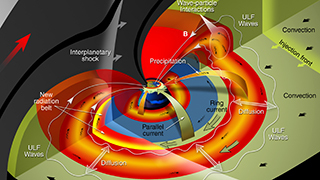 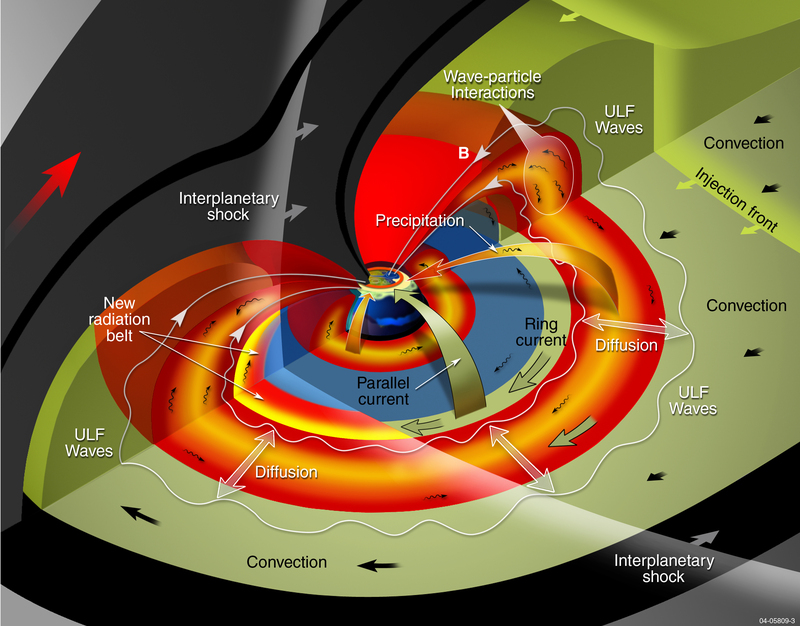 This graphic shows the chain of processes coupling the inner magnetosphere's energetic particle environment to solar wind disturbances. 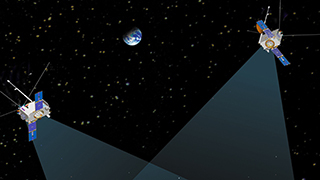 Click on the screen resolution you would like to use, in the proper format for your monitor or screen (fullscreen is more square, widescreen is more rectangular). 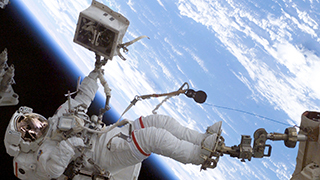 For PC: right-click on the image; for Mac: control-click; select the option 'Set as Desktop Background' or 'Set as Wallpaper' (or similar).